Inline 6 engine with automatic trans. I had to buy a wagon yesterday, sadly not this one. The wife got a e350. Pretty nice driving car. I have a challenge for my fellow DTers. Can you find my car for sale on CL? I listed it yesterday. I can give more hints if needed. Nice wagon, at a nice price. Personally I would be glad that the air suspension is not yet installed (don't care for the slammed look). The 1965 AMC Rambler American definitely has some character that can't be duplicated on any other car. The automobile industry has changed its marketing strategies so much since 1965, the product naming usually involves aggressive and fierce car names. The paint isn't perfect, but I still dig the blue flames. My first car was a '66 Rambler wagon. Light green, 232ci straight 6, 3-on-the-tree. Bought it for $200 in the spring of '80 with about 110k on it if I remember correctly. Two years and some later, when I sold it for scrap, it was pushing 140k and drank about as much oil, coolant, and brake fluid as gas. The front end was shot, the clutch slipped, the heater core was clogged, and the exhaust had more patches than my jeans. Not a great car, but a good one. Nothing much broke, it just kept going until it wore out. But I lived out of it for 2 long, epic summers. Something like 25k miles of exploring Canada and the western US. It turned out to be just about the perfect vehicle for me at the time. Great memories. The vacuum-powered wipers were pretty much worthless. On the highway, I'd have to take my foot off the gas to get a full cycle. Uphill in the mountains - forget about it. I eventually tied a cord to the left wiper and ran it through the wing window for a manual assist. That worked pretty well until the right side wiper broke off at the stub - after that the left side worked just fine on it's own. Wing windows and footwell vents - two features that are sorely missing from modern cars. 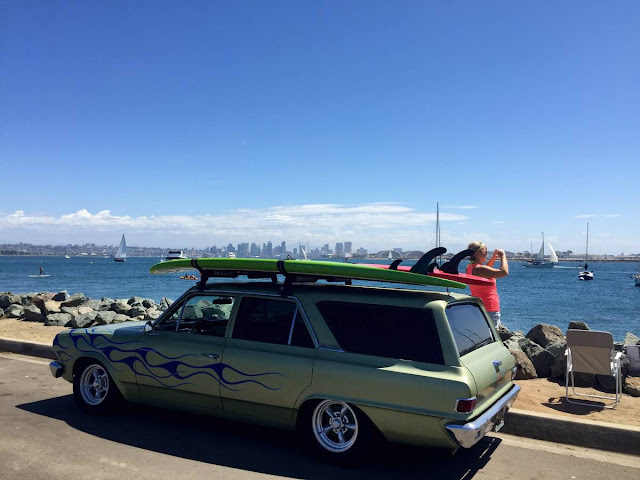 Ten years later I bought an '85 Volvo wagon. 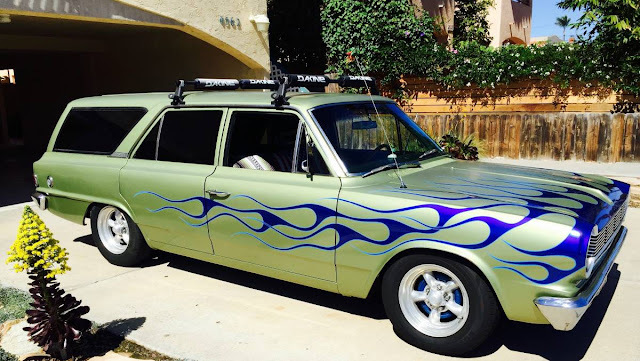 Same basic concept as my old Rambler, but much better execution. Drove that car for about 10 years, giving it up at almost 200k only because of terminal rust. P.S. For those of us in the subarctic, Bobinott has it about right. Sad, but I know exactly where that top shot was taken - boat launch parking lot, Shelter Island, San Diego. We used to vacation there at least once a month until we moved to the midwest.